Calling all JET Alumni, friends & nihonshoku aficionados! 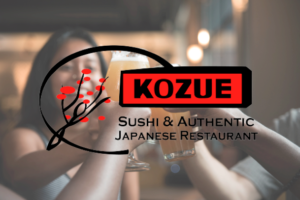 This month’s Happy Hour will be at Kozue, which describes itself as a “Sushi & Authentic Japanese Restaurant”! Let’s put our taste buds to work and see if their menu can conjure up that old natsukashii feeling! Hope to see you there & if we’re lucky some of the newly returned JETs will be able to find us and join in the festivities!